(0 Customer Reviews) | Write Review 4 issues per year Total Telecom meets the information and research needs of the Global Communications industry, from breaking news to expert analysis. It is the leading communications link between end users and the vendors, carriers and resellers of telecommunications technology and services. On a monthly basis we provide in-depth analysis of the stories behind the news headlines, a roundup of the latest stories in Timeline as well as features focused on the big issues for global communications. 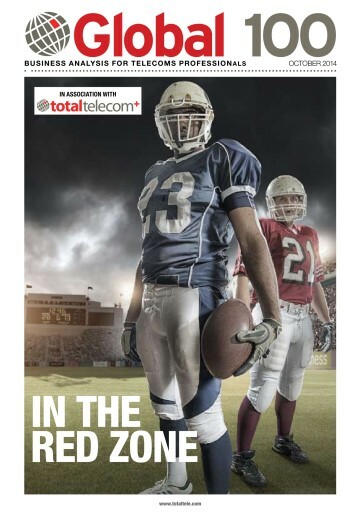 Total Telecom is essential reading for more than 100,000 worldwide telecom professionals, keeping them up to date and in touch with the latest reports and events from the global communications industry. You'll receive 4 issues during a 1 year Total Telecom magazine subscription. You'll receive 4 issues during a 1 year Total Telecom magazine print subscription.